I received some goodies to try from Stephanie Parham with Perfectly Posh, and I have found some new favorite products! 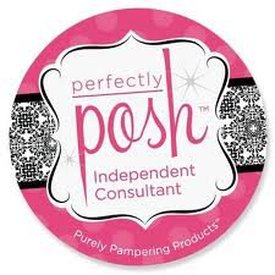 Perfectly Posh is a direct sales company specializing in purely pampering products that are free of paraben, paraffin, and sulphates, contain no gluten, lanolin, or soy ingredients, and are made with only the highest quality skin improving ingredients, essential oils, and phthalate-free fragrances. They are also cruelty free, and do not test on animals. 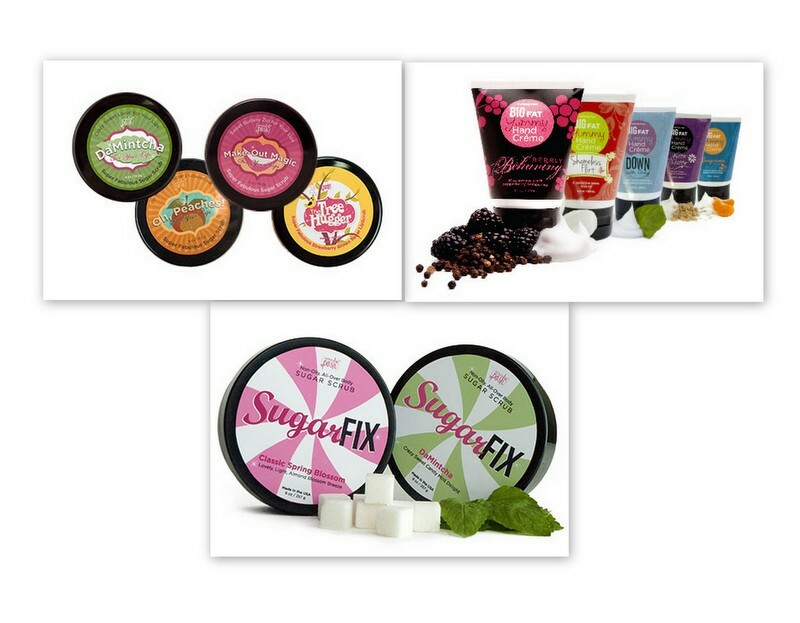 Perfectly Posh offers a huge variety of products including body creams, body butters, hand creams, solid hand lotion bars, sugar scrubs, bath bombs, body washes, bath bars and more! With so many great items to choose from you can pamper your entire body with Perfectly Posh products! Sugar Fix: Great for use in the shower or before you jump in. This sweet sugar, honey, and almond butter scrub will brighten, sweeten, and make your skin glow. Featuring a non-greasy glycerin base, natural cleansers and honey, avocado and jojoba for added nourishment, this non-oily formula will slough the dead skin right off revealing a healthier brighter looking skin. I loved my sugar fix. I love using it on my feet and hands as well as my entire body. It feels so good and smells amazing. I love the way my skin feels after washing with it, it's like I have a new skin! And it feels even better when followed with a Posh moisturizer. Big Fat Yummy Hand Cream: Take special care of your hands with this portable formulation in fabulous fragrances. Posh's Big Fat Yummy Hand Créme features apricot kernel oil. It’s loaded with vitamins A and E to easily penetrate the driest skin without feeling greasy. I am in love with this hand cream. I used it after I scrubbed my hands with the sugar fix and they felt amazing. The cream is not oily or greasy feeling in any way, and absorbed super quick, leaving my hands feeling smooth, refreshed and smelling amazing. Sugar Lip Scrub: Show tired lips some sweet lovin’. 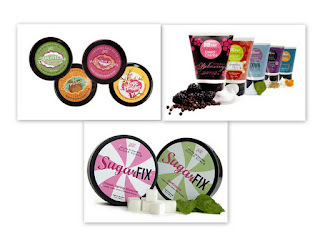 Sugar exfoliates and rich butters moisturize the most tuckered pucker. Rub it on. Smooth it over your lips and leave on to enrich. No need to wash off. Preserved with natural vitamin E Paraben- and paraffin-free Full of butters, and nourishing and infusing ingredients Exfoliating sugars dissolve to reveal polished lips. This has got to be the best thing I have tried on my lips! I always seem to have problems with dry lips especially in the hot summer and cold winter months. This amazing scrub revitalized my lips, and left them smooth and healthy looking. I loved that I didn't have to rinse it off, and a little bit went a long way. After repeated use my lips looked amazing and I didn't have any peeling or dryness. I got the DaMintcha mint flavored scrub and the minty coolness it leaves is awesome! This is definitely something I want to always have on hand. Check out all these great products and so many more on Stephanies website www.perfectlyposh.us/stephanieparham or visit her facebook page for new products and upcoming sales and promotions! Keep an eye out for a great giveaway coming August 6th. Stephanie will be offering a $40.00 gift card as a prize in the giveaway! Disclosure: The opinions expressed in this review are 100% my own and may differ from yours. I was provided with product to try in exchange for my honest review.